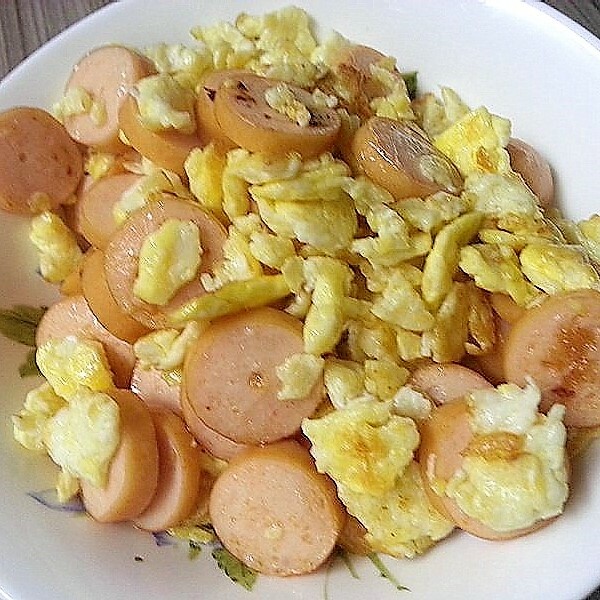 Heat up oil in wok and fry sliced hotdog till golden brown. Pour egg mixture in and stir. Add a dash of salt and pepper immediately. 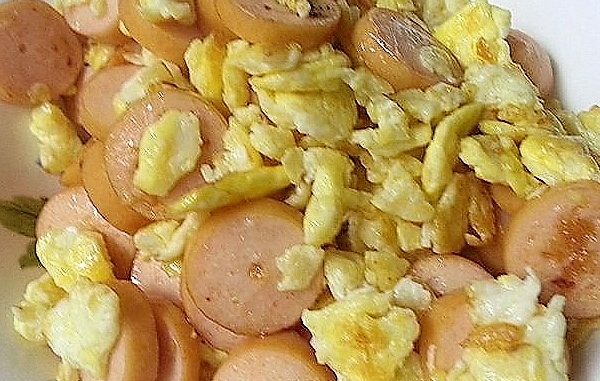 If the hotdog is salty in the first place, you may omit salt and just add pepper. I bought mine from IKEA so they were just nice. Never liked the supermarket ones. Fry for about 3 minutes. You may add cheese at this point, just need the heat to melt on the omelette.